The Teenage Engineering PO-14 Sub Synthesizer is a miniature, battery-operated synth, perfect for on-the-go musicians. The pocket-sized synthesizer features a minimal design with an exposed circuit board and raw buttons to allow for unique looks and an affordable price tag. With 16-step sequencing, a choice of 16 playing styles and 16 additional effects, the possibilities are endless, enabling you to let your creativity flow. The Pocket Operator features a sharp and easy to read LCD display which gives you information on all your controls and parameters on the Pocket Operator, allowing you easily monitor and change any controls. Underneath the LCD display, Teenage Engineering have incorporated an integral speaker for added convenience, allowing you to create and listen to your sounds and sequences on the fly. The ‘stripped-back’ design of the Pocket Operator is designed for maximum cost efficiency and low power consumption. The open-style design means the Pocket Operators cost less to produce and in turn are a lot more affordable for the consumer. The sensitive components and circuitry are hidden behind the LCD display, protecting against outside interference and eliminating the need for an outer case. The Pocket Operator features multiple real synthesizer engines for exceptional audio quality and harmonic qualities, allowing you to manipulate and edit the sounds on the fly. You can quickly manipulate the sounds you trigger with the ‘A’ and ‘B’ rotary knobs, which control pitch and modulation as well as other parameters. You can also punch-in effects whenever you feel the need to while playing sequences or sounds. Everything from delays to bit crushers and filters will keep your sound bank fresh even after extensive use. 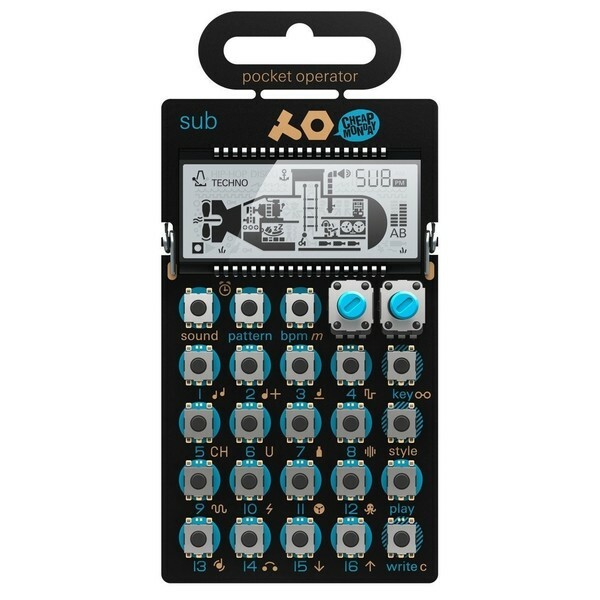 The Pocket Operator also features a 16-step sequencer with 16 patterns for added versatility, allowing you to create loops and sequences on the fly. One of the most unique and versatile features of the Pocket Operator is the ability to link multiple units together all while syncing them to play in unison. This opens up a world of possibilities allowing you to expand your sounds and performances to a near infinite amount. The units feature two separate inputs for daisy-chaining multiple units and for connecting you external speakers. 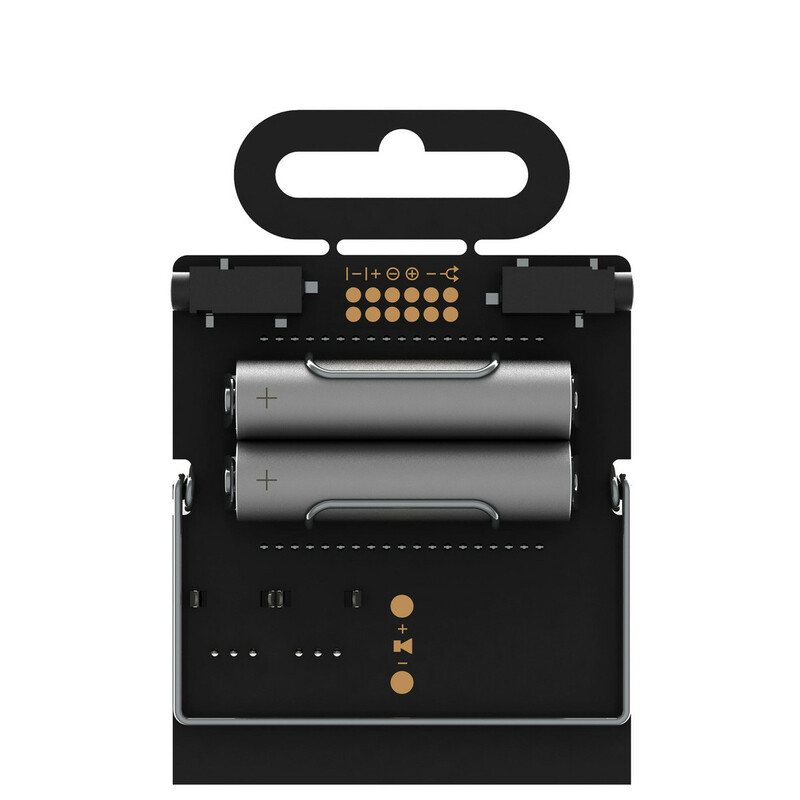 As an added bonus, the Pocket Operator also features an internal alarm clock which operates via the digital time display on the LCD screen. This alarm clock will wake you up to any time you set it, giving you a personal alarm clock as well as a fun mini synthesizer unit. For those who want added protection for their Pocket Operator, there is an optional silicone pro case available for each version of the Pocket Operator. These cases feature anti-slip feet, a neck strap, battery protection and a rubber, pro feel buttons.